Community Health Centers offers a program that reduces the cost of care for uninsured patients or can be applied to insurance deductibles for patients with insurance. These discounts are based on family size and income. Internal Medicine, Adult Medical Care, Pediatrics, Geriatric Medicine, Obstetrics & Gynecology, Dental Care, Family Planning, Lab, X-ray, Pharmacy and EKG's available on site. We have listed the dental costs below which we have compiled for Community Health Centers Winter Garden. We cannot guarantee the dental costs to be completely accurate. Costs are displayed for informational purposes for our users. We have compiled prices provided by users to this website. In order to obtain actual costs please contact the dental offices directly. 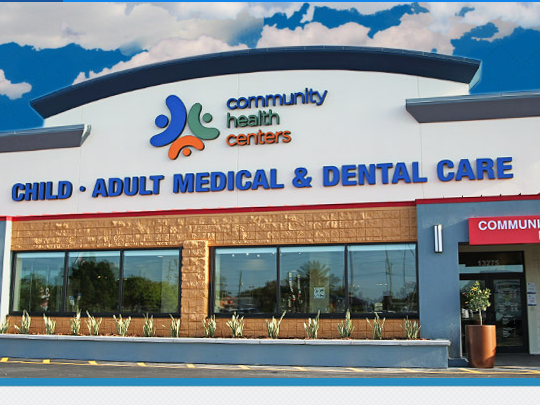 We do not have any costs yet for Community Health Centers Winter Garden. Be the first to add a dental cost! Health Care Center for The Homeless, Inc.